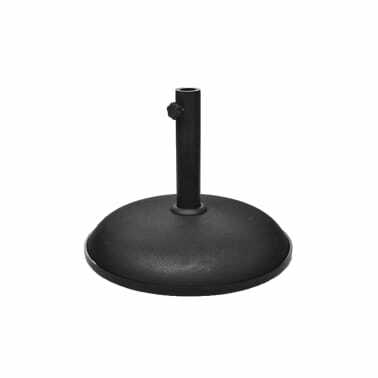 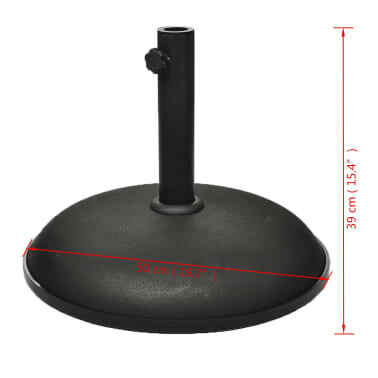 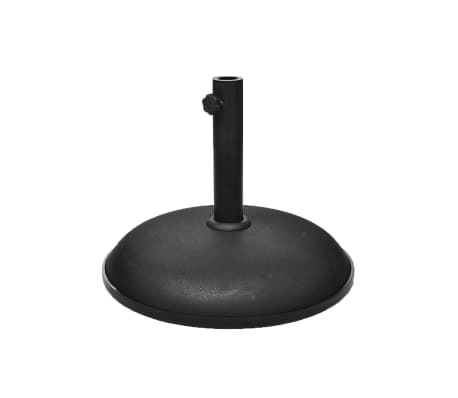 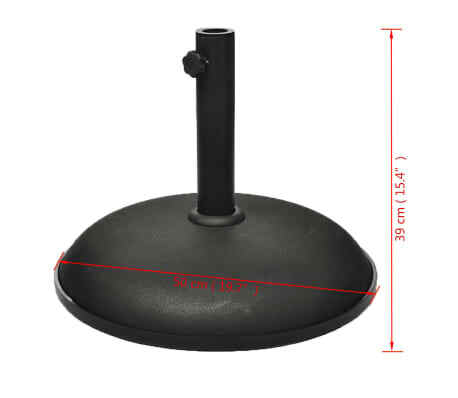 This solid cement umbrella base/stand helps keep your umbrella from tipping over or being blown away. 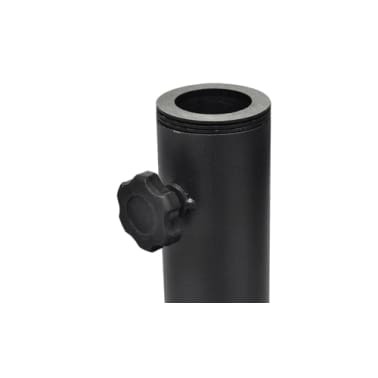 Its durable steel construction is filled with cement and will retain its good look for years. The knob helps keep the umbrella fastened tight and straight.